I know a few of us said we were in a bit of a mojo-less state with our papercrafting. Would a swap of some sort help do you think? I'm happy to organise one if people want to do something. Any thoughts on what? Perhaps we could start a list then choose? Thoughts? A bell rings, Tina - did someone (maybe Karelyn?) recently suggest a challenge, on the basis that it wasn't as, well, challenging as a swap? Can't remember whether any more details were mentioned: maybe whoever it was would remind us. However, it would be a very good idea, what with you re-starting your papercrafting, several mojo-less as you said, and Lorraine back with us. I'll happily join in, as long as whatever it is doesn't have to be finished until at least the end of the month: taking down decorations at the moment, then packing, then off to see the in-laws Sunday, back Tuesday night, mammogram Wednesday at the hospital and there will be a check-up after that, possibly also in January. So can't see me surfacing till at least the middle of the month! yes id like to do something. Posting things is a bit tricky which is why i suggested a challenge instead, sort of like pick a theme (colour or subject or whatever but sufficiently vague) and then each to do any kind of papercraft project on that theme and a picture of it to be posted here by a certain date (or we will just procrastinate). Maybe we could have a secret vote just for fun and see which one we all thought best? or not, if you dont want the competitive element. So people could do a scrapbook page or make a card, a bookmark or whatever. That's an idea. I know there is a challenge over on UK scrappers at the moment where people use a christmas card as inspiration; maybe we could do something like that? Ah - it was you who suggested the challenge, Maria: couldn't remember. Anything which is Christmas-based is fine by me, Tina! gawd, ive just put all the christmas stuff away, and er, not planning to do chrismtas stuff again till at least December. Not meaning to be difficult but have kind of had enough of Christmas. Maria wrote: gawd, ive just put all the christmas stuff away, and er, not planning to do chrismtas stuff again till at least December. Not meaning to be difficult but have kind of had enough of Christmas. Not an actual Christmas swap, don't worry. I'm sick of it, having been making christmas stuff since September ! I like the idea of using something else as inspiration, whether it's a card / layout/ magazine cover / record sleeve / whatever. 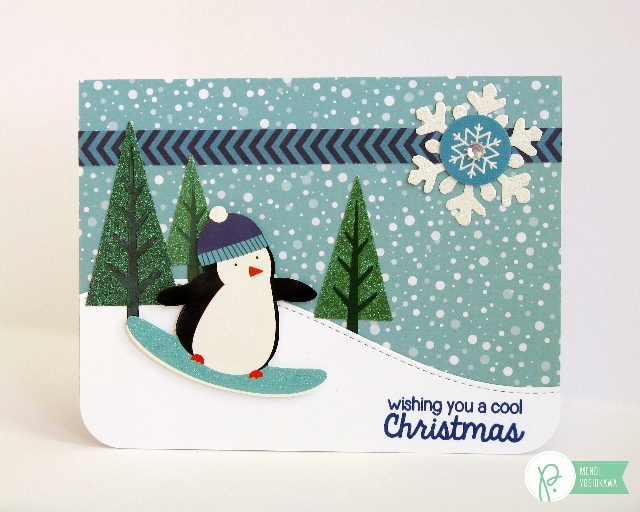 It was just the UKS example of a christmas card design as inspiration (as if it were a sketch IYSWIM). A christmas card inspiration is as good as any other, for example, using Di's card, I could pick green, black and red, I could make a card/LO incorporating beads and/or thread, I could create a card with the focal point being the main picture taking up most of the front, layered twice or I could do something Christmas themed. Brilliant idea, Ruth - and would solve the problem for Maria, as there's a picture of the card she received from Jo (or any of the other cards) on here so, even if she's packed everything away, she could use that/those for inspiration. I like the idea of a challenge and Christmas inspiration and happy to join in. Yup, what you all said. Lynda, mammogram? I hope all is well. Just my yearly check-up one, Karelyn: the last of the five. Ah, hope it's not too uncomfortable. Great idea, I like the chalenge and not a swap at the moment as I wont have much stash to play with/use for awhile yet. We did something on the noughts and crosses/tic tac toe board once I think, that could be done and each month we do/pick a line and then lastly do a full house, could take 9 months to get to the end of it without someone having to keep coming up with a new idea. sign up here and then we want a picture of your papercraft project uploaded by the end of January. (unsure whether its best to have a gallery in which case can someone make one, or just upload the pics here. Then one of the entrants can set one for next time, etc etc. Excellent, thank you Maria, I will definitely do this, and thank you for sorting out the inspiration. Count me in, I am hoping to get started on craft area blitz by the end of this week so will have time and space to create. Going to have a play too. I must do this, not sure when it will be fitted in, but I must! I'm going to have a go too as hopefully more time during the week now! Great girls... who is missing... Lorraine? Alison? Ive started mine because we go on honeymoon on 24th and I have mum here from 20th so i need to get it done by then. I hope to finish it next week. Should we just post a pic on this thread for simplicity or should we havea gallery? Probably better to have a gallery, Maria - I'm sure Lorraine will set one up when she next comes on. Ive done mine now, Im going to have to put it up this week because of going away so i hope Lorraine can do a gallery before then. Hi, I did say "I'm in" but in the post before you put the picture up Maria, LOL, so I do have a card that I made Paul for Christmas and as things have gone a tad bonkers here I'm going to ask that it be ok if I use that so as to show willing, or would you all find that cheating? ok, ive added you Alison. Yes, use your card if you want to, if it fits the challenge... the idea is just to get everyone papercrafting again, but im sure we would like to see the card. Haven't been able to craft for days, Maria: will need till the end of the month, definitely. Cropping on Saturday so I'll produce something then, I hope.